NBC reporter Ken Dilanian has come under fire for misgendering US intelligence leaker Chelsea Manning during a news report. Dilanian misgendered Manning on MSNBC’s Live with Hallie Jackson and MSNBC’s Live with Stephanie Ruhle, according to MediaMatters.org. In the reports, Dilanian referred to Manning as “he” and “him” while reporting that Julian Assange allegedly engaged in a conspiracy with Manning to steal US secrets. “Assange conspired and encouraged Manning to steal those top-secret documents,” Dilanian said in one broadcast. A 2014 study in the journal Self and Identity asked transgender people about misgendering and how it made them feel. 32.8 percent said they felt very stigmatised when they were misgendered. Those who were frequently misgendered reported experiencing lower self-esteem around their appearance. Transgender whistleblower Chelsea Manning underwent gender confirmation surgery last year. She first came out as a transgender woman in 2013 while she was serving a 35-year prison sentence for leaking files to WikiLeaks while serving in the US military. The prisoner was denied the right to transition while in jail, leading her to make several suicide attempts. The American Civil Liberties Union supported her 2014 legal action supporting her right to present as female while in Fort Leavenworth military prison, where she was forced to keep male dress standards, referred to using male pronouns, and denied the right to transition. 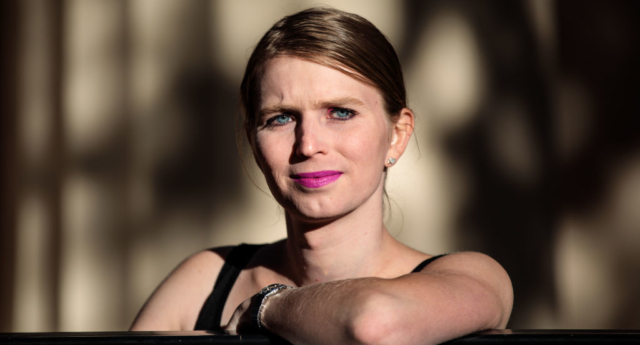 A separate legal complaint in 2016 alleged that Manning had been denied access to correspondence and media clippings, including printouts of PinkNews articles relating to her transition. In one of his final acts as President in December 2016, Barack Obama commuted Manning’s sentence, allowing her release in May 2017 after serving a fifth of the original sentence.